For the next two weeks, law enforcement agencies throughout Colorado will be increasing their focus on arresting drunk drivers as part of the Colorado Department of Transportation’s (CDOT) annual Labor Day The Heat Is On DUI enforcement campaign. Be warned, Colorado drivers – cops are currently conducting their Labor Day DUI enforcement crackdown, explains an experienced Denver & Boulder DUI lawyer. This campaign runs in conjunction with a national DUI crackdown for the same period, the Drive Sober or Get Pulled Over campaign sponsored by the National Highway Traffic Safety Administration (NHTSA). Both of these DUI enforcement campaigns, which were officially kicked off on August 21st, will run through Monday Sept. 7th to zero in on alleged drunk drivers. According to officials at the NHTSA, Labor Day weekend is one of notorious holidays for drunk driving. In fact, the NTHSA has reported that, over Labor Day weekend, about half of all fatal traffic accidents that occur at night are caused by drunk drivers. “With the help of law enforcement around the country, we’re getting the word out – if you’ve been drinking, don’t drive, because if you do, you will be stopped, you will be arrested and you will be prosecuted,” U.S. Transportation Secretary Anthony Foxx has explained about this national DUI crackdown. Our goal is to keep the roads safe, no matter the time of year…Even though the summer-long Checkpoint Colorado DUI patrols are winding down, the Labor Day enforcement is a reminder to motorists statewide that we will remain vigilant in our efforts to arrest impaired drivers. In 2014, more than 1.100 DUI arrests were made by 95 law enforcement agencies in the state over Labor Day weekend. Over Labor Day weekend in 2014, there were just over 160 DUI-related fatalities in Colorado. About 1 in every 3 DUI-related deaths that occurred in Colorado in 2014 took place over Memorial Day or Labor Day weekend. According to officials, the 2015 Labor Day DUI crackdown will include more patrols on the roads (particularly over weekends and evenings), public service announcements (to try to deter drunk driving) and DUI checkpoints (among other things). So, the bottom line is that all motorists in Colorado should be warned that, over the next two weeks, arresting drunk drivers will be a central focus for law enforcement officials throughout the state. If you know you will be drinking alcohol at any point over the next two weeks/the Labor Day holiday (or any time), plan ahead to get a sober ride. 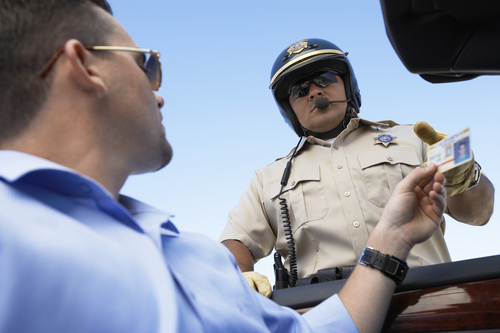 Here are some more tips for avoiding a DUI arrest. If, however, you end up getting arrested for a DUI, contact our Denver & Boulder DUI lawyer ASAP to start protecting and defending your rights. When facing misdemeanor or felony DUI charges in Colorado, you can turn to the Denver & Boulder DUI lawyer at Griffin Law Firm for experienced help and the best possible defense. With more than 18 years’ experience in the criminal justice system, our attorney understands the complexities of the system, the challenges different defendants can face and the best ways of overcoming these challenges to bring DUI cases to successful resolutions.